Strobe Cosmetics Swatches & Restock Reminder! - Welcome! 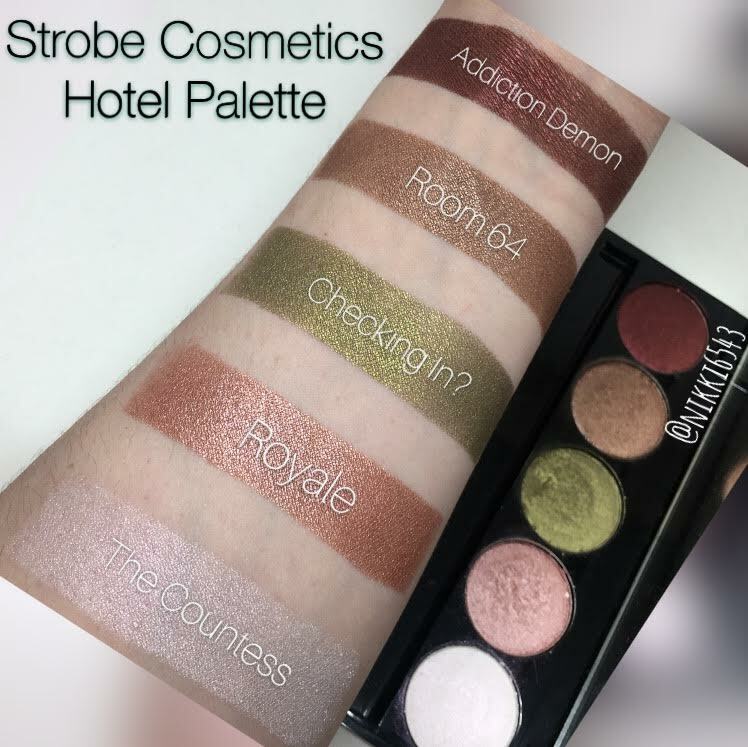 Strobe Cosmetics Swatches & Restock Reminder! Hi all and thanks for stopping by!!! 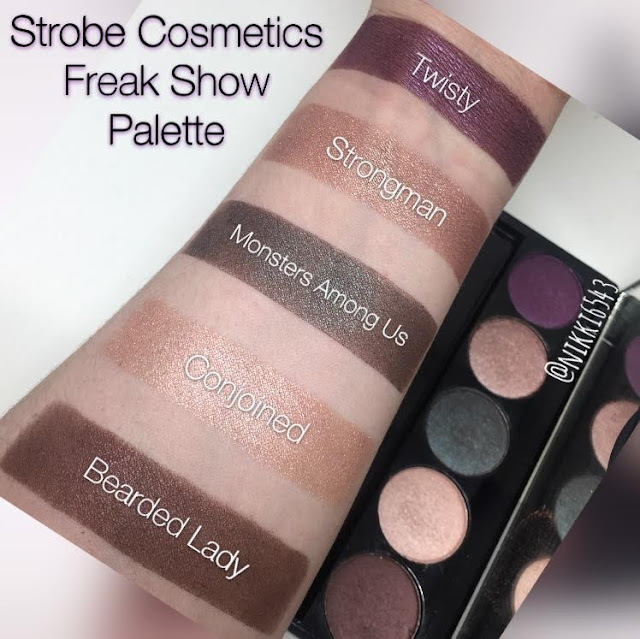 So, today we are going to look at some swatches from the amazing company Strobe Cosmetics. I first heard of them when JKissa was on Periscope and I asked her for some Indie brand recommendations. If you don't follow her you need to! You can find Jkissa's YouTube channel HERE. 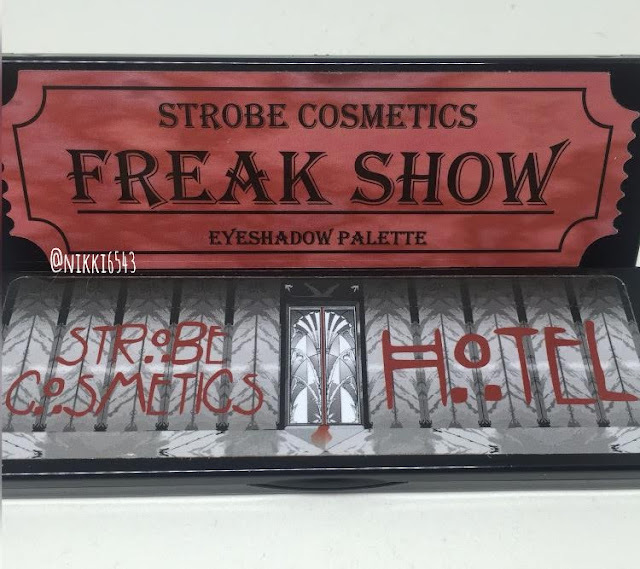 I went on their site and saw they had their Freak Show Palette ($25) and Hotel Palette ($25) on backorder (both 5 pans with 2g each, so 10g total of product! ), so I decided to order the Hotel Palette back in October and fell in love as soon as I used it! Then in November I was able to put a backorder in for the Freak Show Palette and decided to also pick up the fan favorite Sea of Ghosts (I need to get my hands on World Eater next!). Well they just came a few days ago and again I'm just as impressed as I was with the first palette. The Sea of Ghosts you just have to see in action. 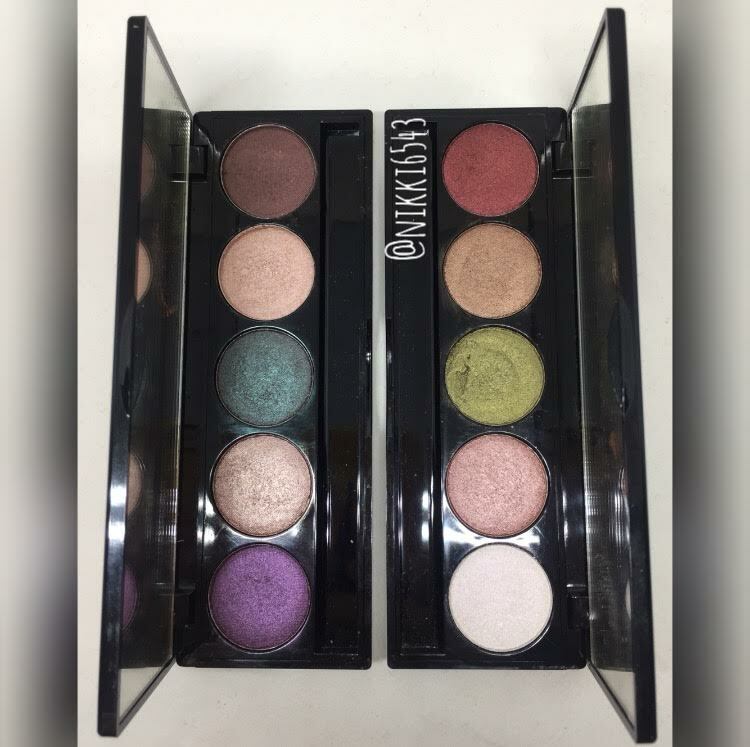 I swatched the palettes on Periscope last night (follow me nikki6543) and in my Snap Story (nikki6543) I put a video clip of Sea of Ghosts in action (alone and with MAC Fix+). They currently have 36 single shadows with most of them being a metallic finish. You can get single pan only for $6.50 or pan + compact for $9. This is one of the best parts though, their pans hold 2.5g of products vs the 1.3g standard MAC shadow vs the 1.8g standard Makeup Geek shadow ($6). 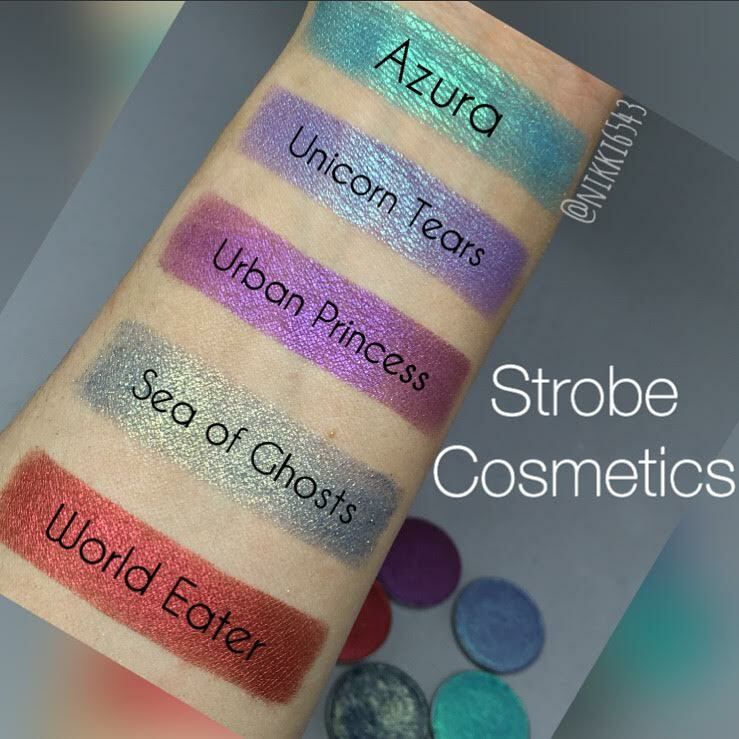 An amazing part about Strobe Cosmetics is they are cruelty free AND vegan! The pigmentation on these shadows is amazing and they have a great price point. I HIGHLY recommend you checking them out and picking up some goodies! Now of course what you came here for, the pics and swatches!!! So, here we go folks! Thanks again for stopping by!! Please tell me what you are going to get? Thanks for you time putting together this post. I am always looking for new companies to try out. I think this will go on the watch list for me. They really look like foiled eyeshadows to me. Thanks for the review. I'm definitely going to look into this brand. I would rather pay for quality instead of advertising and marketing most Sephora brands offer. It's late in the game so I'm hoping what you showed is still available.